The Internet of Things (IoT) is expected to be the next revolution after internet itself and is increasingly becoming a part of our lives. As the number of connected things are increasing everyday, so is the threat level on these devices. Like any new domain, the technological challenges remain whilst new policy and standards are emerging. Subex has been world leader in security and fraud management solutions for telecom operators over the years and is now actively working in the IoT Security domain. 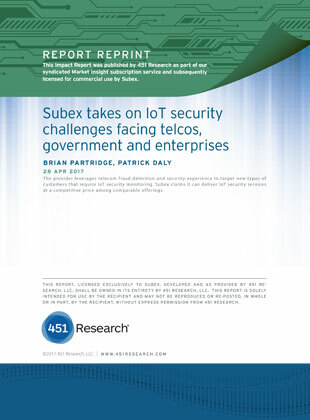 This paper provides an overview of IoT security, challenges to IoT security and Subex’s approach to address them.